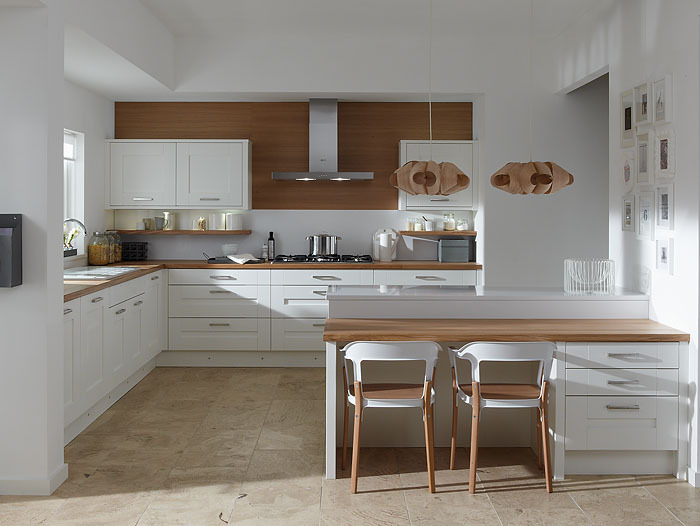 Milbourne in the Chalk finish gives a crisp and open feel to the design you choose. This L shaped layout is complemented by a split level breakfast bar and island using a mix of prime oak and Snowfall Strata quartz. Under cabinet lighting illuminates the oak shelves and a high glass splashback is easy to clean as well as being a further design feature.